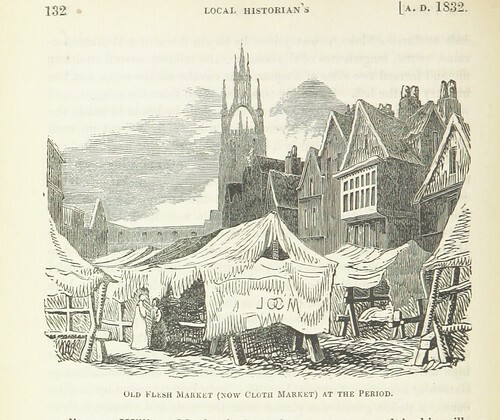 Image taken from: Title: "The Local Historian's Table Book of remarkable occurrences, historical facts, traditions, legendary and descriptive ballads, connected with the Counties of Newcastle-upon-Tyne, Northumberland, and Durham. Historical Division. vol. 1-5.-Legendary Division. vol. 1-3" Author: RICHARDSON, Moses Aaron. Shelfmark: "British Library HMNTS 797.k.16-20." Volume: 02 Page: 578 Place of Publishing: London Date of Publishing: 1841 Issuance: monographic Identifier: 003094600 Explore: Find http://explore.bl.uk/primo_library/libweb/action/search.do?cs=frb&doc=BLL01003094600&dscnt=1&scp.scps=scope:(BLCONTENT)&frbg=&tab=local_tab&srt=rank&ct=search&mode=Basic&dum=true&tb=t&indx=1&vl(freeText0)=003094600&fn=search&vid=BLVU1" >this item in the British Library catalogue, 'Explore'. Open the page in the http://itemviewer.bl.uk/?itemid=lsidyv3c5b7f9b#ark:/81055/vdc_00000005A1D9.0x000242" >British Library's itemViewer (page image 578) http://access.bl.uk/item/pdf/lsidyv3c5b7f9b" >Download the PDF for this book Image found on book scan 578 (NB not a pagenumber)Download the OCR-derived text for this volume: https://blmc.blob.core.windows.net/ocrplaintext/003094600_02.txt" >(plain text) or https://blmc.blob.core.windows.net/ocrjson/003094600_02_text.json" >(json) Click http://www.flickr.com/photos/britishlibrary/tags/sysnum003094600">here to see all the illustrations in this book and click http://www.flickr.com/photos/britishlibrary/tags/date1841">here to browse other illustrations published in books in the same year. http://bit.ly/1b3VS7i" >Order a higher quality version from here.